Oh, you mean they’re not just synonyms? Well, hardly. They are often used to describe the same thing but there are differences in meaning. What is the difference, and which one should you opt for? Hydration describes the process of water entering the skin whereas moisturizing describes the process of locking that water in, so it won’t escape the skin. That’s pretty much their difference. Therefore, when it comes to topical skincare, hydration comes first and moisturization second. It’s all about humectants. These are the heavy-lifters of the hydration operation. Humectants are hydrophilic molecules that pull the water from within. Like, literally. They drag water from the dermis-that is the second skin layer- and transfer it to the epidermis, which is the outer part of the skin. This way, the inner water hydrates the skin surface. Ideally, look for natural humectants such as aloe, glycerin, honey and Hyaluronic Acid. The latter seems to be the most impressive one, as it can hold its weight up to 1000 times. A study showed that topical hyaluronic acid resulted in a skin hydration of up to 90%. A more hydrated skin looks more youthful with a luminous glow. It is also important to lock that water inside. As we’ve just explained, humectants draw water from within. During winter, when the air is drier, they may draw too much water from the dermis, resulting into making the skin somewhat dry. A paradox, right? That is why, we need to shield that moisture by creating a barrier to lock it inside. Therefore, moisturizing creams contain certain occlusive ingredients such as oils, that will prevent this loss. Maintaining a plump skin is basically a balancing act between getting the moisture from within and preventing its escape. Make sure it contains natural humectants as they don’t irritate the skin. Moisturizers high in Hyaluronic Acid content, are optimal for an in-depth hydration of the skin. Ideally, you could seek moisturizers with 3 types of hyaluronic acid of different molecular weight, to penetrate and hydrate all 3 levels of the skin. 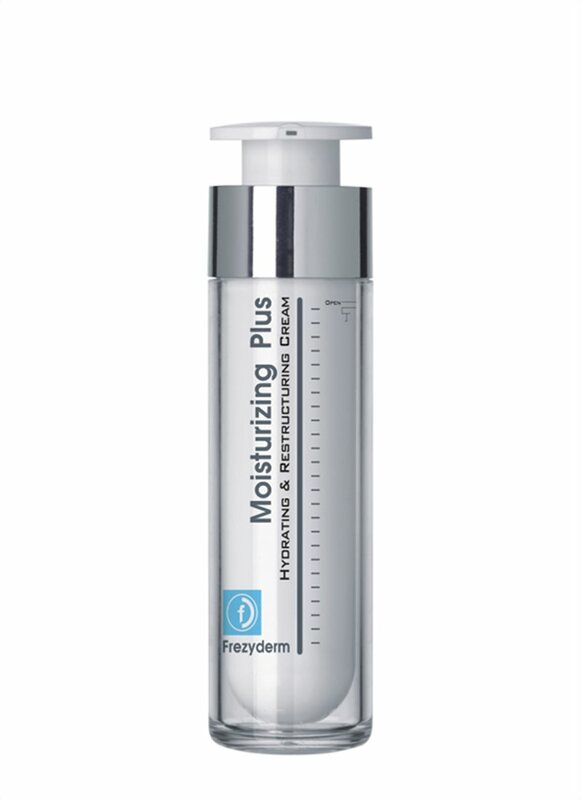 Your moisturizer will almost certainly contain occlusive ingredients to seal the moisture. If your skin is oily though, try a lighter moisturizing cream that will also absorb the excess oil of the skin. BE MAKE-UP FREE THIS SUMMER AND STILL LOOK GORG!